Puppy class is the perfect way to get your puppy started off on the right foot! Our course is focused on socialization, with obedience and puppy problem solving. We expose your puppy to friendly adult dogs, other people, other puppies and more! Our goal is to help you raise a confident, happy family member. 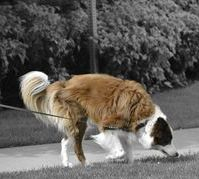 Nose class gives your dog an opportunity to use his best asset, his nose! Dogs love to sniff, so why not channel it into an opportunity to strengthen your relationship with fido. Shy and nervous dogs really seem to blossom in this fun and unique class. Dogs can look for their favorite toy or treat, or a scent of your choice! Interested in sniffing out more information? Check out our fun nose classes here! 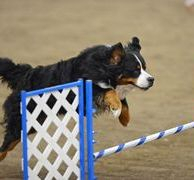 Rally Obedience is a fun, fast paced way to polish your obedience skills, and ready yourself for a possible show. Dogs should have a solid basic obedience foundation before enrolling in a Rally class. Handlers and Dogs follow a set course of station signs with different tasks and obedience commands on them. Courses are both on leash, and off leash depending on the level. To learn more about Rally Obedience, check out our Obedience Page. *Note: Both AKC and non AKC registered dogs can participate! 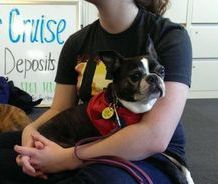 The Therapy dog class is there to prepare your dog for the therapy dog test. 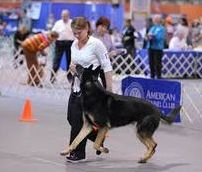 Dogs are encouraged to have a solid basic obedience background. The class offers an opportunity to practice all obedience portions of the test, as well as ask any questions or clarify any parts you are unsure about. 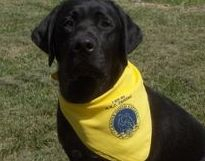 To find out about our evaluators and check for upcoming testing information please visit our Therapy dog page. If you can't seem to find something you're looking for make sure you check out our Other Programs page. Private lessons, Board and Train and Daycare and Train programs offer customization to meet the needs of you and your dog. We're happy to work with you and your dog to make sure we get you started on the program that works best for you!